I recently visited an architect who works in the National Museum to say thank you for his help in my study. 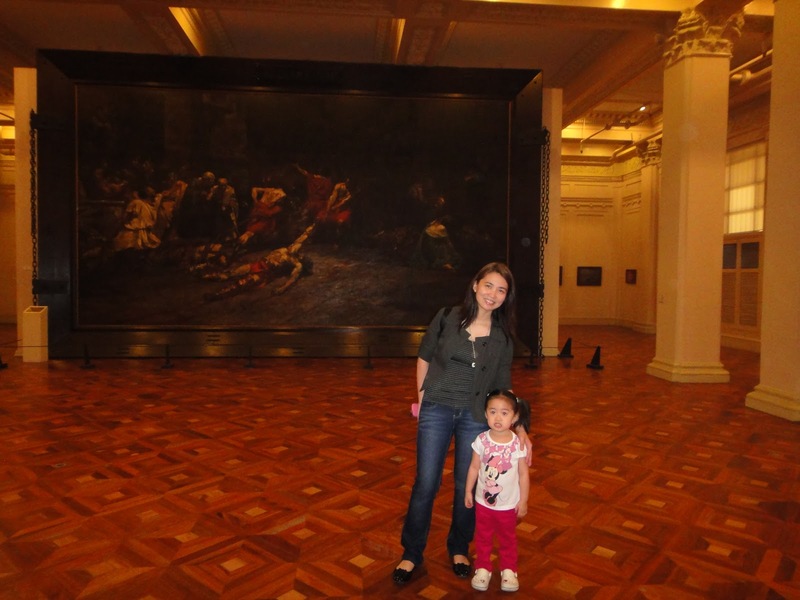 And since I was in a tight schedule, I let Iya go with me. 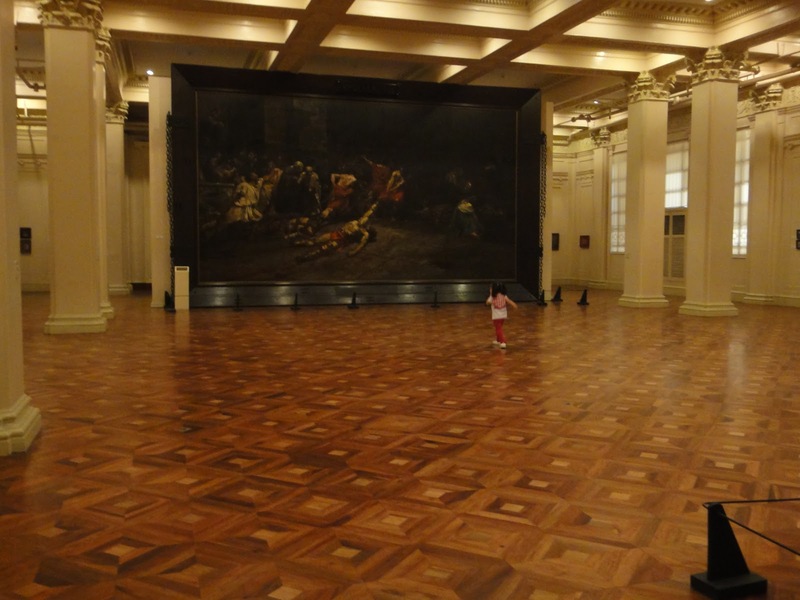 We were only there for an hour so we just visited the most precious of their paintings — The Spolarium by Juan Luna. Maybe next time we can further explore the other exhibits especially the bone museum where she can see the big mouth and the razor teeth of the great whale shark (if I’m not mistaken). 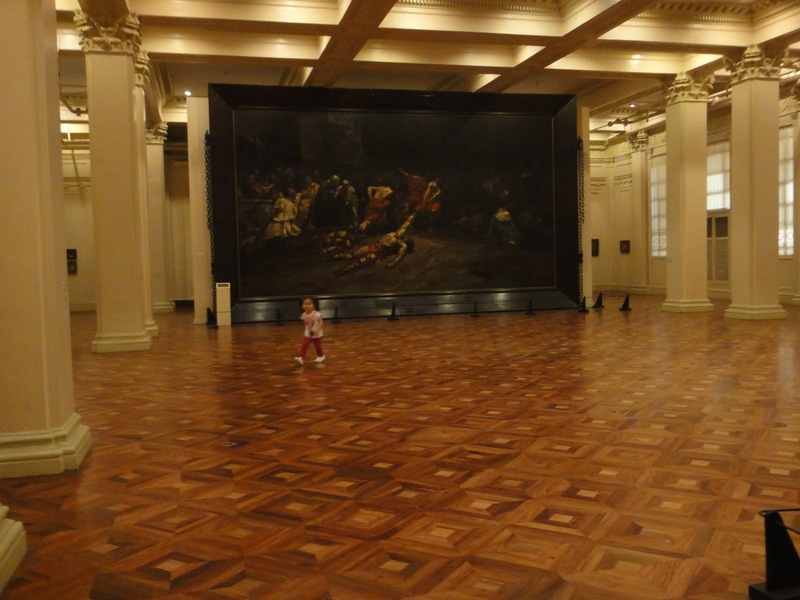 This museum is under renovation and the entrance is still free. We will probably take advantage of it some other time.